The USDA rural development loan is a unique loan product offered by the United States Department of Agriculture for borrowers living or moving to rural areas. To determine whether or not you meet current USDA guidelines, your lender will examine several factors relating to your income, credit profile and your overall financial condition. It is important that you work closely with your lender to provide all documentation and explanation necessary for a loan approval. Income and monthly expenses: Standard debt-to-income ratios for USDA loans are 29/41. These ratios may be exceeded with certain compensation factors. Credit history: Having a good credit history is important, but the USDA requirements for credit standards are flexible. Most lenders require all borrowers to have a credit score of 620 or higher. Overall financial patterns: rather than individual problems you may have had. Expect lenders to look at the big picture of your financial history, instead of focusing on isolated incidents. For a detailed list of rural development loan requirements, visit our USDA Requirements page. Additionally, if you have any questions about USDA Rural Development loan program, visit our USDA FAQ page. USDA regulations state that the borrower’s monthly housing costs (the sum of your mortgage principal and interest, property taxes and insurance) must meet a percentage of your gross monthly income (29% ratio). Additionally, you must have enough income to pay new housing costs and additional monthly debt (41% ratio). In certain cases, these percentages may be exceeded if compensating factors are added to your USDA rural development loan. Typically, a FICO score of at least 620 is required to receive USDA loan approval from most lenders. Applicants for USDA rural development loans are permitted to have an income of up to 115% of the median income for the area the house is located in. USDA regulations for loan limits are essentially the same as those for FHA loans. To meet USDA loan requirements, families must be without adequate housing but have the ability to afford the mortgage payments, including taxes and insurance. There are no down payment requirements for USDA rural development loans. Most loan programs require a down payment unless you are a military veteran. If you have previously declared a Chapter 7 bankruptcy, your USDA eligibility will be restricted for three years. If you are currently in Chapter 13 bankruptcy and have met all court-approved payments in a timely manner as agreed for a minimum of one year, you are eligible to apply for a USDA loan. USDA regulations state that the property must be owner occupied (OO), but the purchase of condos, planned unit developments, manufactured homes and single family residences is allowed. The property must be located in an area that meets USDA designation as a rural area. To check the eligibility of individual property addresses, visit the USDA Rural Development property lookup site. All USDA loans are fixed-rate mortgage loans. A fixed-rate mortgage loan means the borrower’s interest rate remains fixed throughout the entire repayment period, typically 30 years. 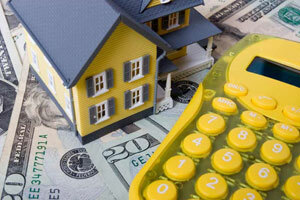 The advantage of a fixed-rate mortgage is borrowers know exactly how much their monthly mortgage payment will be. A fixed-rate mortgage allows borrowers to plan ahead for financial security. USDA guidelines define a Rural Area as open country and locations with populations of 10,000 or less. Under certain conditions, towns and cities also qualify. Look up your location with the automated rural area USDA loan eligibility calculator. If you would like to obtain a USDA loan, visit our Lender411 Get a Quote page to conveniently receive interest rate quotes from nearby lenders in your region. Start comparing rates today and take the first step toward a smart mortgage.